For a couple of decades, metal-containing drugs have been successfully used to fight against certain types of cancer. The lack of knowledge about the underlying molecular mechanisms slows down the search for new and more efficient chemotherapeutic agents. 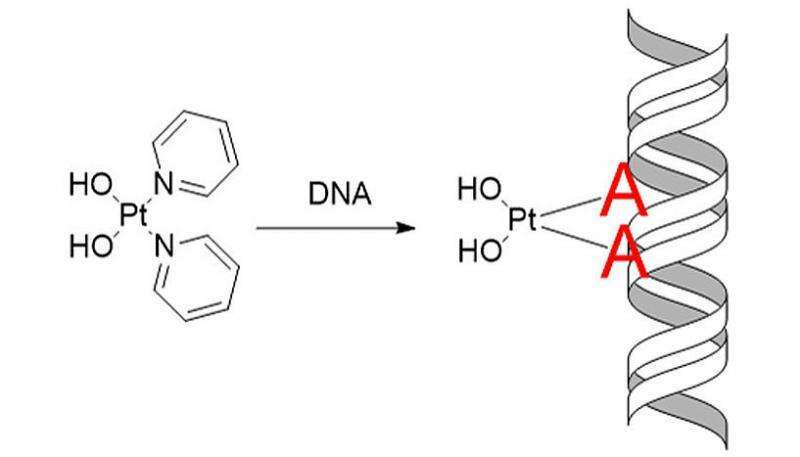 An international team of scientists, led by Leticia González from the University of Vienna and Jacinto Sá from the Uppsala University, have developed a protocol that is able to detect how metal-based drugs interact with DNA. The teams of Leticia González from the Faculty of Chemistry of the University of Vienna and Jacinto Sá from Uppsala University have developed a protocol that is able to detect with high precision how, where, and why a drug interacts with the biomolecules of an organism. "In a first step, using high-energy X-ray radiation from the Swiss Light Source third-generation-synchrotron, the favorite binding location of the drug inside the cell is determined", González explains. In a second step, advanced theoretical simulations, partially done on the supercomputer "Vienna Scientific Cluster", rationalize the preference of the potential medicament for that particular location. The scientists have applied this protocol to the drug Pt103, which is known to have cytotoxic properties but an unknown mechanism of action. The compound Pt103, which belongs to the family of the so-called platinum-based drugs, showed promising antitumor activity in previous studies. Until recently, scientists could only speculate on the action of the compound with the DNA found inside a human or cancer cell. 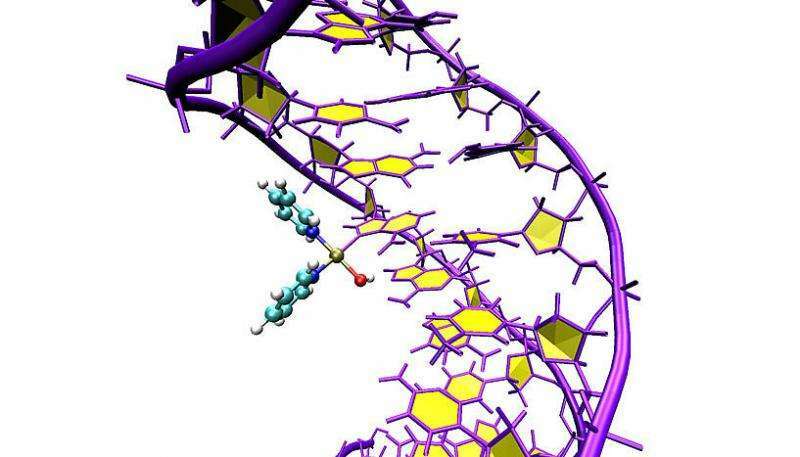 "We could show that the drug binds to a specific site of DNA, which was not expected based on previous research. And we could also explain why the drug attacks this particular site" says Juan J. Nogueira, a postdoctoral researcher in the group of González and co-author of the study. Using this newly gained knowledge one can better understand the functionality of the corresponding chemotherapeutic agent, which might lead to the development of new and more efficient drugs.